Our team receives a high volume of requests daily. We appreciate your patience. Calls and emails are returned in the order they were received. Thank you! Pet owners must provide proof that your pets are spayed/neutered to receive this service. No other eligibility requirements are necessary. You can contact our Pet Help Center team or come by on a Saturday for more information. The JHS Animal Hospital provides quality, affordable care to the public regardless of income status. If you are unable to afford veterinary care, our team can provide you with options. Please reach out with any questions. The JHS Animal Hospital provides low-cost spay and neuter services to the public without any income requirements. We are able to provide free spay and neuter services when funding is available. Please contact our team for guidance. If you are experiencing behavioral issues with your pet and don’t know what to do, call the Pet Behavior Helpline. Our trained staff can assist with correcting many types of behavior problems for both dogs and cats. To utilize this free community service, call 904-493-4586 or email behavior@jaxhumane.org. JHS also offers a wide range of training classes, primarily for dogs, and offers a discount for pets adopted from JHS. Click here to view the schedule and options. If you feel that you are out of options and finding a new home is best for your pet, we encourage you to try re-homing your pet on your own rather than surrendering to our facility. We’re here to help! You can list your pet at no cost on the Community Pet Page of our website. It will be seen by the more than 30,000 visitors who come to our website each month. 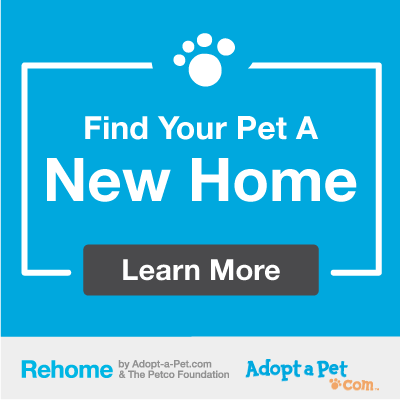 To post your pet on our website, you will need to create a profile on Rehome.AdoptaPet.com. Through our unique partnership, all pets looking for new homes “by owner” will be featured on the JHS website. The Rehome website can help you handle the adoption process, provide access to safe meeting places at Petco stores and the adoption fee you charge can be donated to JHS so we can continue to help others. Click here for more tips on rehoming your pet. The Jacksonville Humane Society is able to provide temporary boarding for emergencies on a limited basis. If your situations requires this type of assistance, please contact our team at 904-493-4584 and leave a message or email PetSafetyNet@jaxhumane.org. Due to the high volume of requests, our team may take up to 72+ hours to return your call or email. Note: JHS works with Hubbard House to help victims of domestic violence when able. Click here for information relating to planning, shelters, and evacuating with pets during storms on the First Coast. Were you impacted by a hurricane and need help with your pet while you get back on your feet? Try this resource from Maddie’s Fund. Did you find a lost pet in Jacksonville? We encourage you to look for the owners, using these Jacksonville tips and resources. Animal Care and Protective Services is responsible for the intake of strays in Jacksonville. Call 904-630-CITY or click here for more information. Did you find kittens? We have options for you. JHS can take in strays on a limited basis with an appointment. Please contact our Pet Safety Net team to discuss your options. If you have exhausted all your options and feel that you must surrender your pet, please contact our Admissions Department to discuss your options. Pets are taken by appointment only. Call: 904-493-4584 and leave a message. Our team receives a high volumes of requests daily. We appreciate your patience. Calls and emails are returned in the order they were received. Thank you! Community Cats are free-roaming cats who may not have a permanent residence, but are cared for by members of the community. If they have an ear-tip (top portion of ear removed), this shows that they have been altered and can stay where they were found. Click here to find more information and resources for cats like this in Jacksonville. If your pet is lost of missing, please view our lost/found pets and other resources here. If you need to report animal cruelty in Duval County, you must contact Animal Care & Protective Services. Please call 904-630-CITY or click here to report online. The Jacksonville Humane Society is here for pets and the people who love them. Don’t hesitate to contact our team to discuss your options. Generosity breeds joy! Thank you to Zapier for helping support our Pet Help Center.